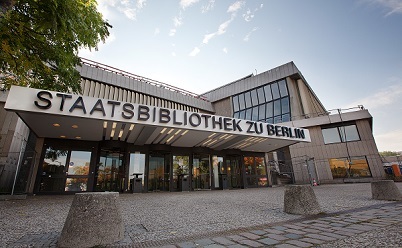 A substantial portion of Bonhoeffer's personal library--from childhood writings to the period of his imprisonment--is archived at the Staatsbibliothek in Berlin. These manuscripts, many of them marked by Bonhoeffer's hand, are available for on-site scholarly research. For more information, visit the Bonhoeffer page at the library's website by clicking below.